This week disappeared before I truly realised it had started. One overseas trip, events to celebrate the 100th birthday of Canberra, a bit of crafting, time with my mother, and the week has gone! The trip to New Zealand sort of swallowed the rest of the week, although it was worth it from a business point of view. 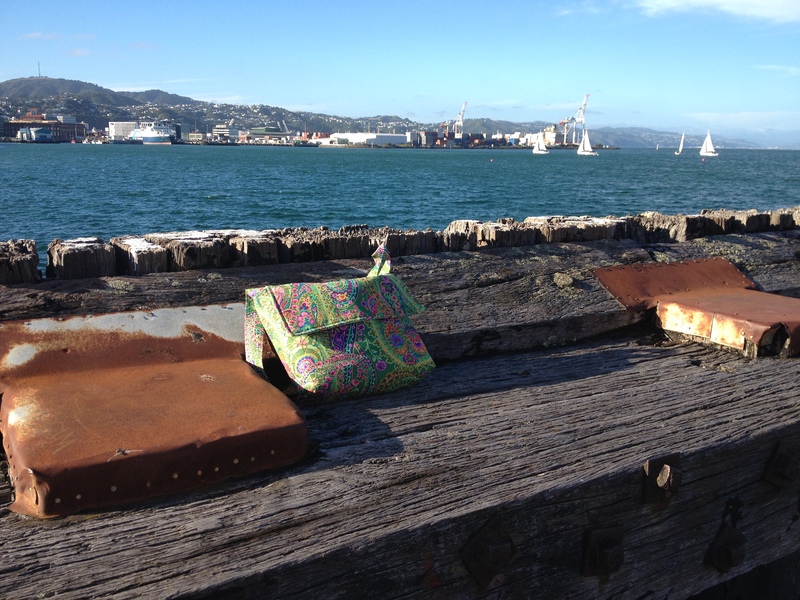 The last time I went to Wellington, about a year ago, I was nearly blown away and the wind was so strong our hotel was swaying. This time, however, the city turned on its charms and the few hours we had out of meetings were delightful! On the one evening we had there (having arrived at midnight on the first night) it was so good to be outside that we walked to the waterfront for dinner, and then home again as the night was balmy. 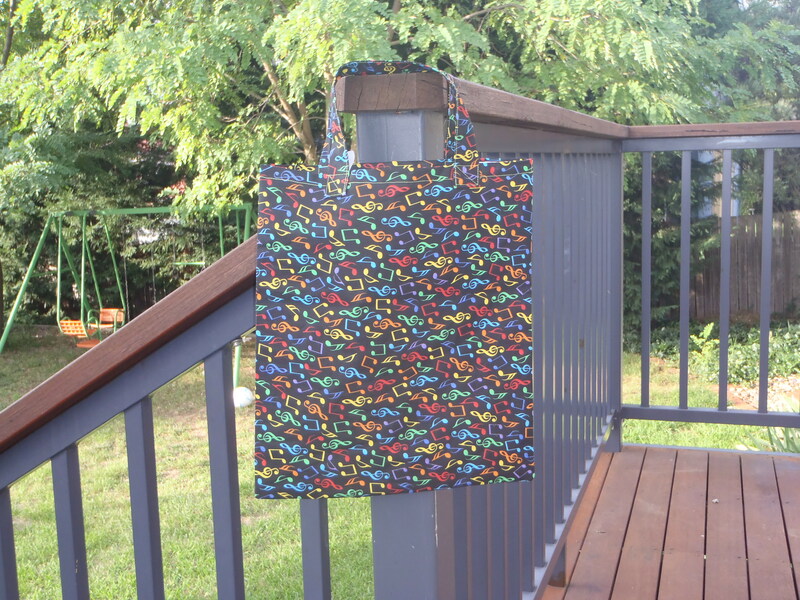 I didn’t have time to make myself a travelling work bag so took one from the etsy shop instead – and then photographed it on tour to keep myself amused. 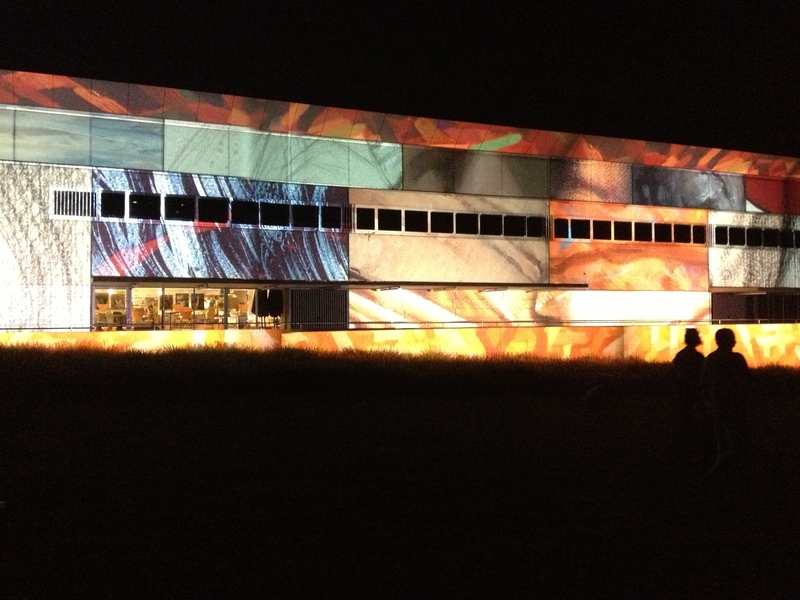 It was a good chance to test one of my designs too – and it worked well! By the time I got home on Thursday night I was exhausted but delighted to see my children who were happy and had behaved for their grandmother, much to my relief! This weekend is a long weekend and the city is in full celebration mode. 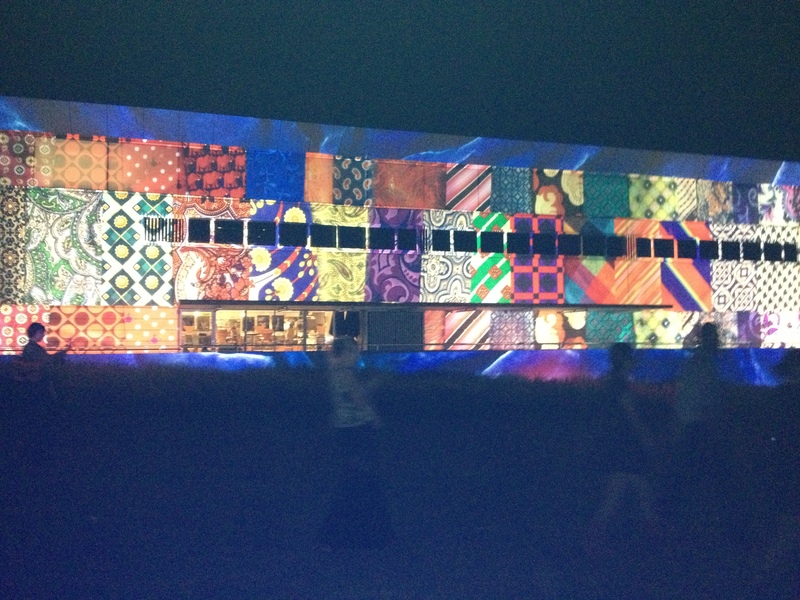 On Friday night we had a spontaneous trip to see an installation called “Enlighten” displayed on the walls of the National Portrait Gallery, the National Science Museum, the National Library and Old Parliament House. (Sometimes living the in nation’s capital is amazing!) So inspirational and the kids loved it too. Saturday morning the spontaneity continued and we made a mad dash to the steps of the War Memorial to watch the hot air balloons that are participating in the annual festival – including a Darth Vader balloon that had the boy very excited! I didn’t get a photo but we may try again another morning this week. 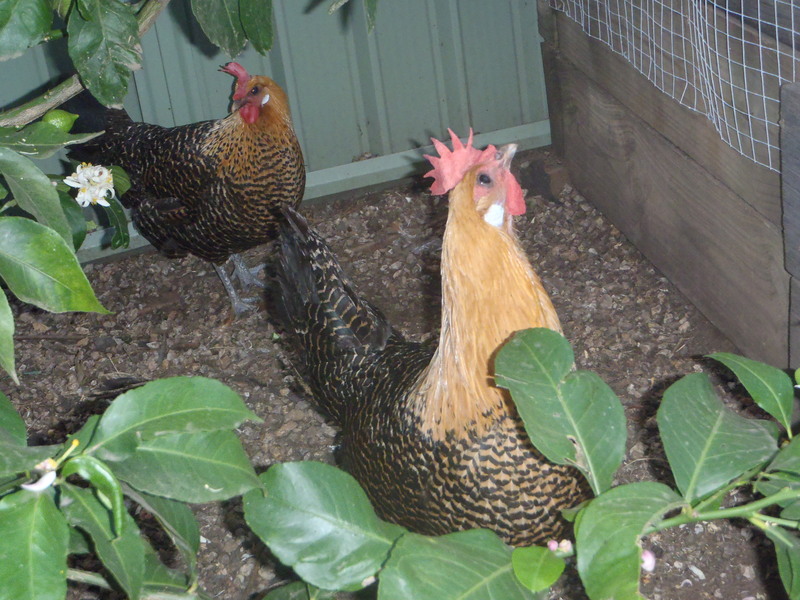 We also acquired two new additions to the menagerie when one of my colleagues was looking for a new home for his Campine chickens, as he and his wife had realised that their yard was not the right size for chickens. So Silver and Creeper joined Isabelle, Goldie and Yoda and, apart from a lot of squawking, seem to be settling in. Our egg supply is assured! After attending to the various household necessities (like grocery shopping) I finally had some time to do some sewing. I have a number of orders waiting to be made and was fretting a bit that I wasn’t getting to them. I have realised that, despite lots of great marketing ideas and creative ideas, I can’t really ‘grow’ the creative business very much at the moment as I just don’t have time to make all that I want to make. I am realistic enough to know that there will be a time when I have a bit more flexibility with children and work, and that I will be able to build it up then, so for now am just tucking away my ideas for ‘the right time’!! 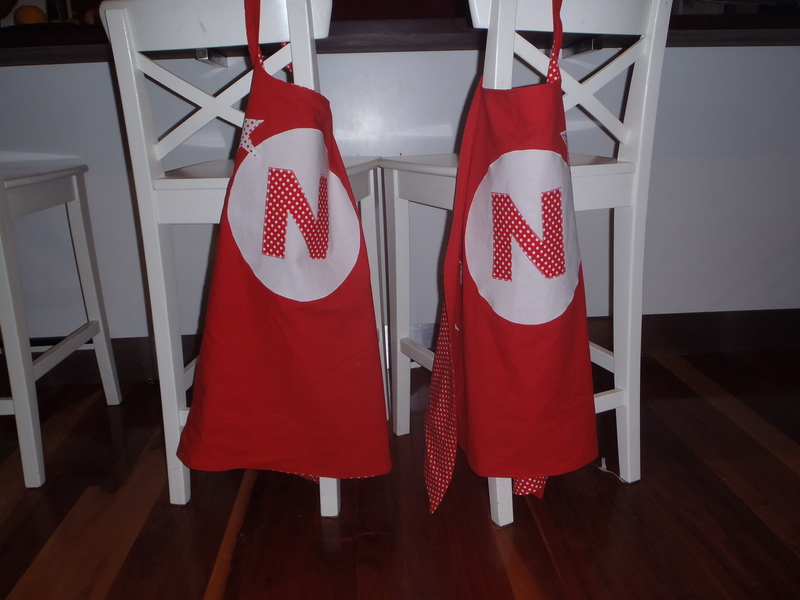 These capes were ordered by a friend for his two nephews who have the same first initial and who, he informs me, support St George in the Rugby League…… he thought they should be the same to avoid arguments but I did put different patterns of stars on them to help their mother settle disputes about ownership! A bag for a school boy to carry his flute music in. 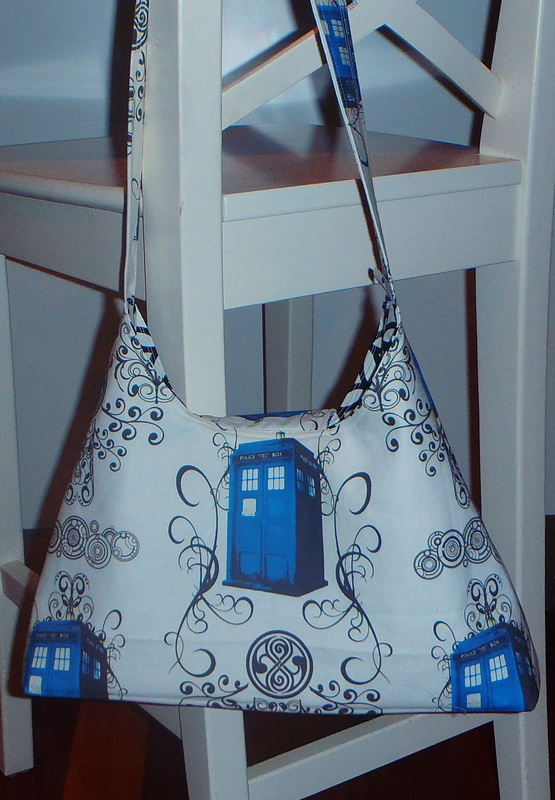 A Tardis bag made with fabulous fabric from Spoonflower, made for a friend who has a niece who is a Dr Who fan. After my efforts over the weekend I can tick a few orders off the list, and will hopefully get a couple more done tomorrow, before another crazy week begins. Let’s hope for a continuation of the lovely weather, and some spare time appearing magically from thin air! 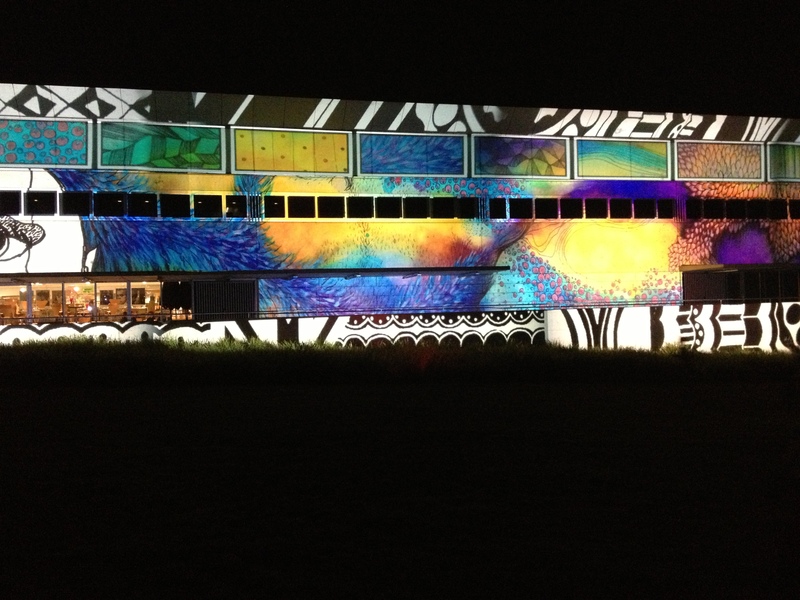 I hope that your week has been full of balmy nights and creative ideas! 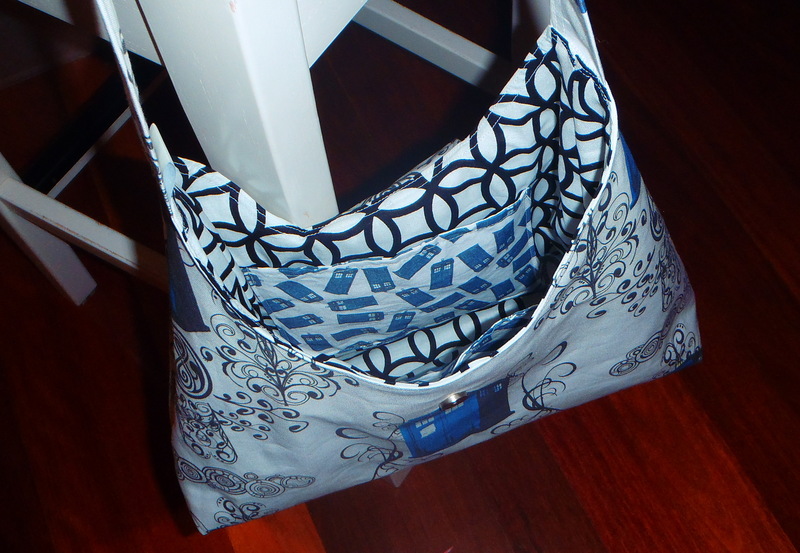 This entry was posted in Uncategorized and tagged bag, Campine chickens, Canberra, capes, Enlighten, hot air balloons, New Zealand, Sewing, tardis on March 10, 2013 by a little bird made me. 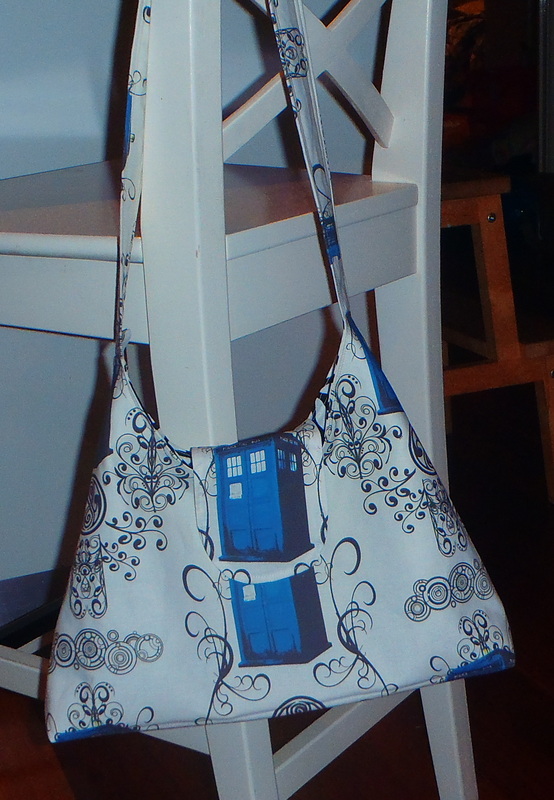 Love the Tardis bag, and the capes!